Personally, I think pirate-themed ink carts are pretty awesome, and the world would be a better place with more of them around. 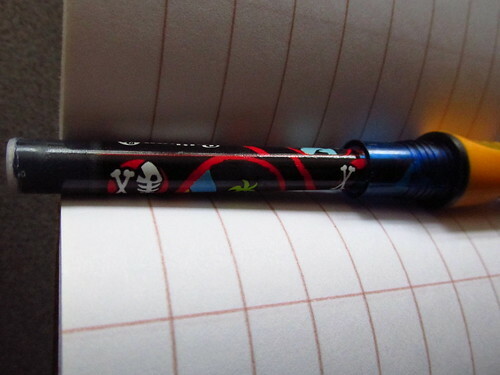 There are more similarities than differences between these pens. Both have an ink window, though on the Pelikano Junior, it's a clear bubble molded into opposite sides of the barrel instead of a cutout. That pen also lacks a clip, which probably is by design -- in small, curious fingers, a clip may be bent or snapped off, though it does provide some nice anchoring for keeping your pen from rolling off the desk... or the paper when photographing it. So which one is the best? Like most playground showdowns, this one may come out a draw (no pen pun intended.) The Safari is more grown-up, but also simpler. The Pelikano Junior has a number of well-thought-out details making it suitable for the classroom, but its styling may raise an eyebrow or two in the boardroom. But if you can get standard cartridges -- all the big box office stores around here carry them -- you won't be far from a refill and they last a long time. I suspect they have room for a converter, too. Safaris have swappable nibs, so as a "gateway" pen, it's got a lot more flexibility and expandability out of the box. It's rare to hear a Safari owner not recommend them to pen newbies. In the end, I think it comes down to budget and personal preference about styling. Unlike the disappointing Zebra V-301, both of these handle great, write smooth, and can survive life in a pocket, backpack, or briefcase. 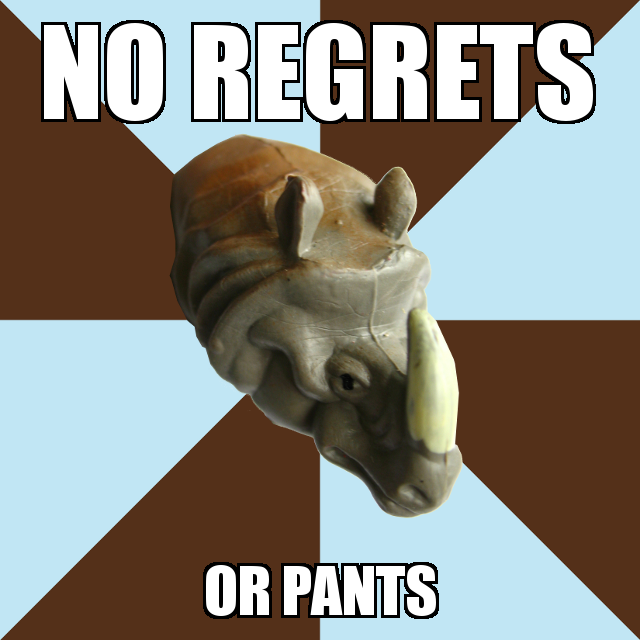 I'd like to get a Safari. 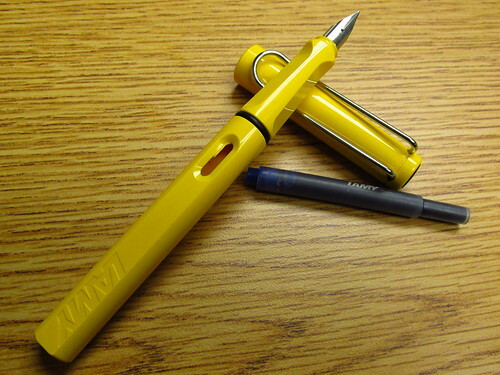 I had one of the V-301 pens. A slight step better than nothing, but to me plain junk. The Zebra's a big disappointment. I've picked it up once or twice since, and then put it right back down. A shame, since their ballpoint pens were always my favorite in school. 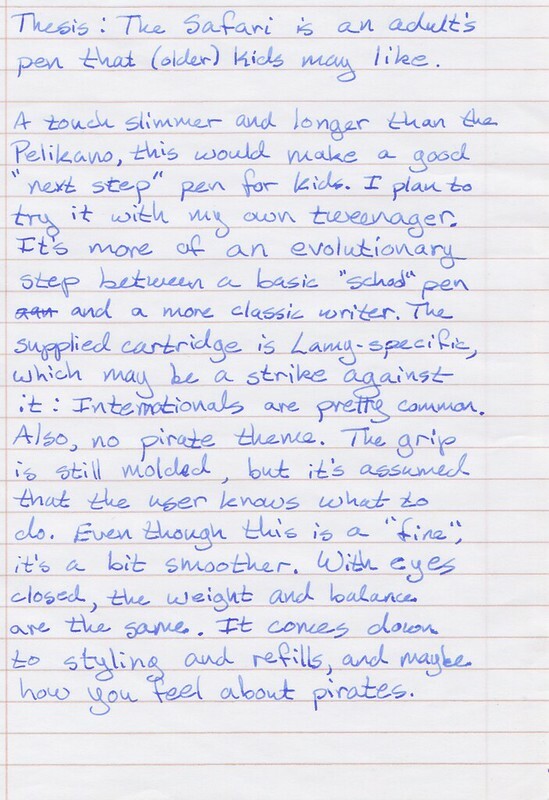 Whoever designed/makes the V-301 should have taken a lesson from Pelikan. One should endeavor always to raise an eyebrow in the boardroom. I have to say, after finding the Safari I wouldn't look at another pen, especially since they offer a LH nib. 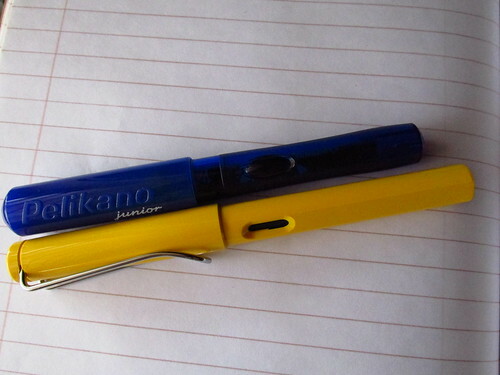 I've been using my Pelikano Jr for grading homework, and I like the feel. 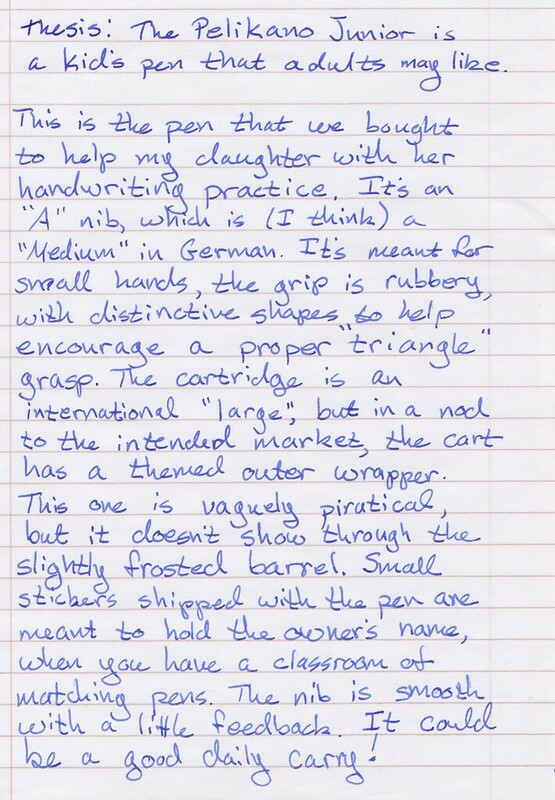 The nib is okay, but it is really broad and wet. I'm glad they ship it with a long cart, because it'll burn through a short one in no time. 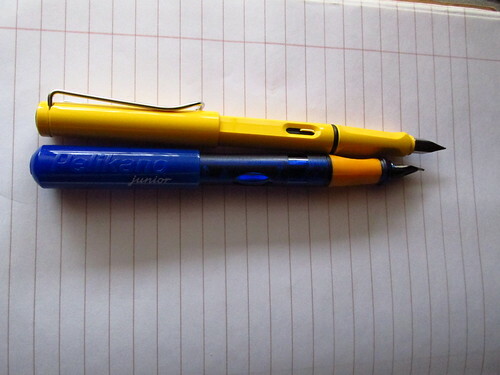 I love my Lamy Safaris, both fine and medium. They feel decent and are not too big an investment to knock around on camping trips. 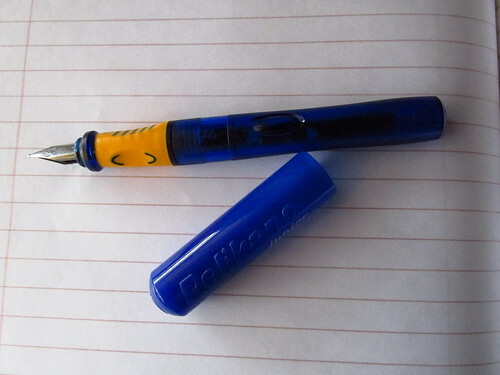 But I've also just ordered a blue Pelikano Jr. With or without a pirate-themed cartridge, it looks like fun. 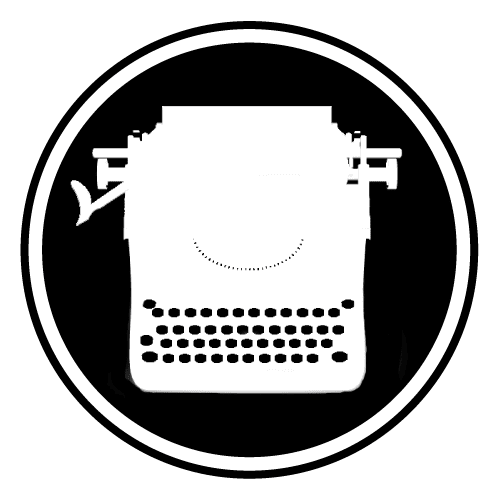 And may make a nice accessory to go along with the next typewriter I gift to a grandchild. So she can properly sign all those letters she's going to type for her grandparents!